Every French pupil learns in grade school these famous words, which have resounded for more than two centuries as the opening line of the French Revolution: "Tell those who send you that we are here by the will of the people and will leave only by the force of bayonets!" The date was June 23rd 1789, the place the royal-tennis court ("Jeu de Paume") in Versailles, where King Louis the 16th had summoned an assembly of his subjects, and the man who uttered them a 39 year old nobleman named Honore-Gabriel de Riqueti, better known as the Count of Mirabeau. The Riquetis, wealthy merchants from Marseilles, had acquired the fief of Mirabeau, six miles to the west of Cadarache, in the 1570's. Two centuries later, Count Honore-Gabriel, a fiery, rebellious character, defiant of the King and a "Friend of the People", was to represent Aix and Marseilles' lower classes at the "Estates General"--a very unlikely case of a nobleman siding with the Revolution. 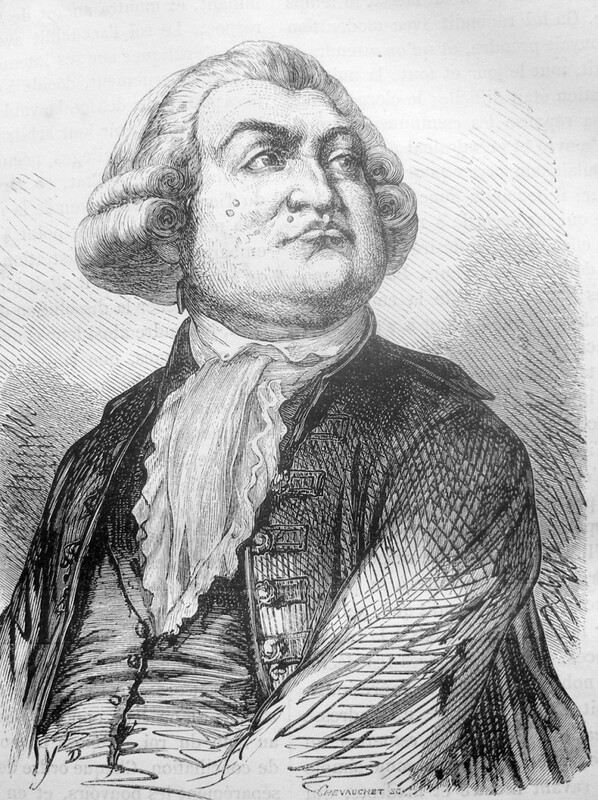 Mirabeau advocated a constitutional monarchy, which was still an option in the early years of the Revolution. Despite his moderate political stand he was immensely popular among the little people. He had just been elected president of the National Assembly when he died, at age 42, in April 1791. His body was buried in the Pantheon, the newly built lay temple where Great Men were to be laid to rest. Three years later, documents were found in an "iron cabinet", exposing Mirabeau's secret correspondence with the King. This was perceived as treason and the hero's remains were taken out of the Pantheon and re-interred in an anonymous tomb. In Aix, Marseilles and the whole region, where his family had deep roots, the memory of "The Flaming Torch of Provence" is still cherished. Aix's most prestigious avenue, the Cours Mirabeau, bears his name, as does, since 1902, the village of Les Pennes-Mirabeau in the Marseilles' suburbs. There would undoubtedly be more rues, plazas and boulevards Mirabeau had the contents of the "iron cabinet" never been found and the fiery Count's collusion with the Court not exposed.